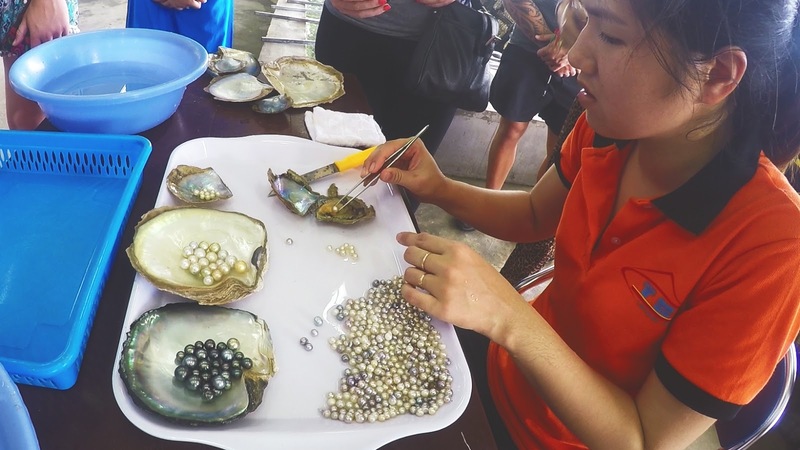 Up until a little while ago, when I visited a saltwater pearl farm in Vietnam, I had no idea that pearls were farmed, and no idea you could get freshwater pearls either. But throughout the hour or so there, watching the process and seeing all the finished jewellery, I was continually surprised about what a weird, human involved, and sustainable a process getting the perfect pearl really is. You see, pearls happen very rarely naturally in oysters, and naturally formed pearls tend to be lumpy, imperfect, a little bit weird. Pearls are formed by an irritant getting stuck inside an oyster, as a defence mechanism the oysters form a protective layer around this which ends in the formation of a pearl. Natural pearls can grow very large, and still fetch a very high price due to their rarity, but you're extremely unlikely to find a round pearl with no imperfections formed naturally. So the solution to this, is farming them, with a much higher success rate and much more control than if you were to just go to try and find pearl oysters naturally. The process fascinated me, in a kind of gross way I have to be honest, so today I thought I would share just how the perfect round pearl is formed. The mantle is the shell forming part of the oyster, and this is removed from one oyster and inserted carefully into another. The receiving oyster up by about ½ an inch, an incision is created in its flesh and the mantle is placed in. It's important that the oyster isn't opened up too much while inserting this mantle as they can die from being opened too wide. All of the oysters “donating” mantle die, these are sometimes used for food and often their shells are used to make jewellery. This isn't nearly as valuable as jewellery made from pearls but it is still very pretty. 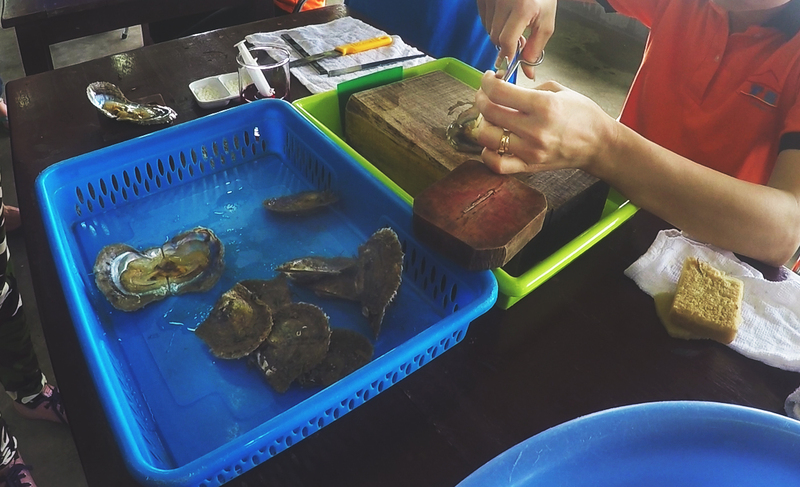 Along with the mantle a small “bead” made of oyster shell is inserted into the oyster’s reproductive organ which serves as a sort of guide for the oyster to grow the pearl around, this is how farmed pearls get their round shape. This bead acts as the irritant which the oyster forms a pearl around. As it is so large, compared to something that would normally get stuck in an oyster, making it out of shell means that it's far less likely to be rejected or to end up killing the oyster than it it were made out of something unnatural to the oysters. This method, however, doesn’t have a perfect result, many pearls are too strong and end up just spitting the bead out, and others are too weak and end up dying from the process. These oysters in particular only have about a 50% chance of actually forming any pearl at all, with many dying from being too weak; and there's only a 5% chance of producing a very high quality pearl. After anywhere from a few months to a few years the oysters are collected and, of the ones that haven’t died already, are opened up to have their pearls are taken out. This kills the oysters and they are then used for food, while their pearls and shells are used to make jewellery. Unlike their freshwater cousins growing 25-50 pearls at a these time saltwater oysters can only grow 1 pearl at a time, meaning that it’s not that efficient a process, and it results in a lot of “wasted” oysters per pearl. 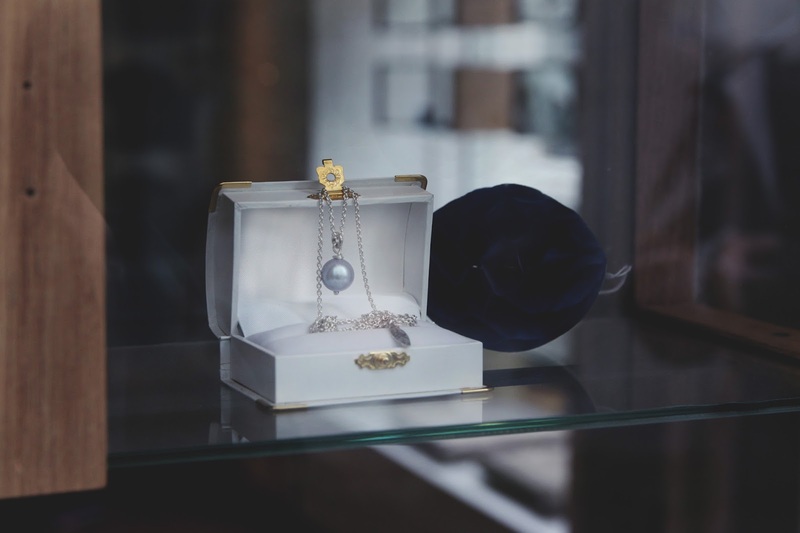 It's still a lucrative business, especially on a large scale, a string of rare pearls can cost $3000. On the other hand a different string can cost you $30, it all depends on the colour, shine, shape, and size of the pearls produced. Aside from the, what I personally think is the weirdness and grossness of it all, pearl farming is actually a very sustainable process. 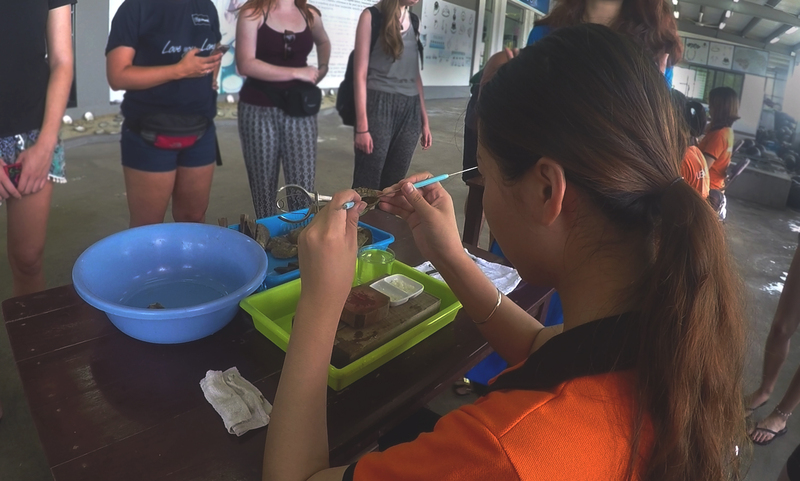 The oysters are used for pearls, food, and their shells, and new babies are bred on site in the farm too from larva collected. Pretty much everyone I was with were equally grossed out and fascinated by the whole thing. And, as a vegan, I really don’t think I’ll ever be buying any pearls but it’s interesting to see how they’re made and nice to see sustainable farming in action too.